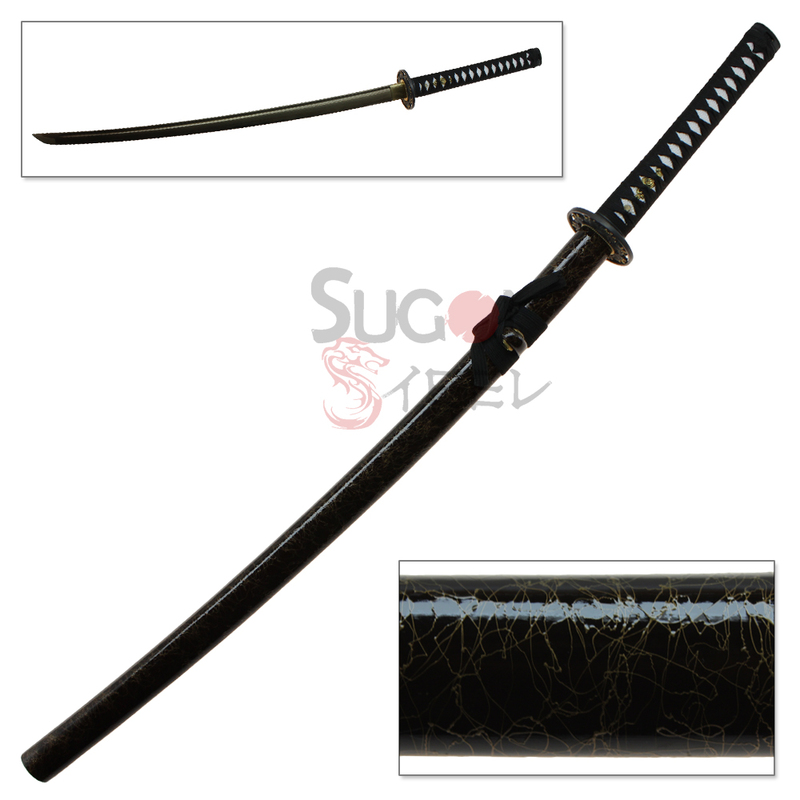 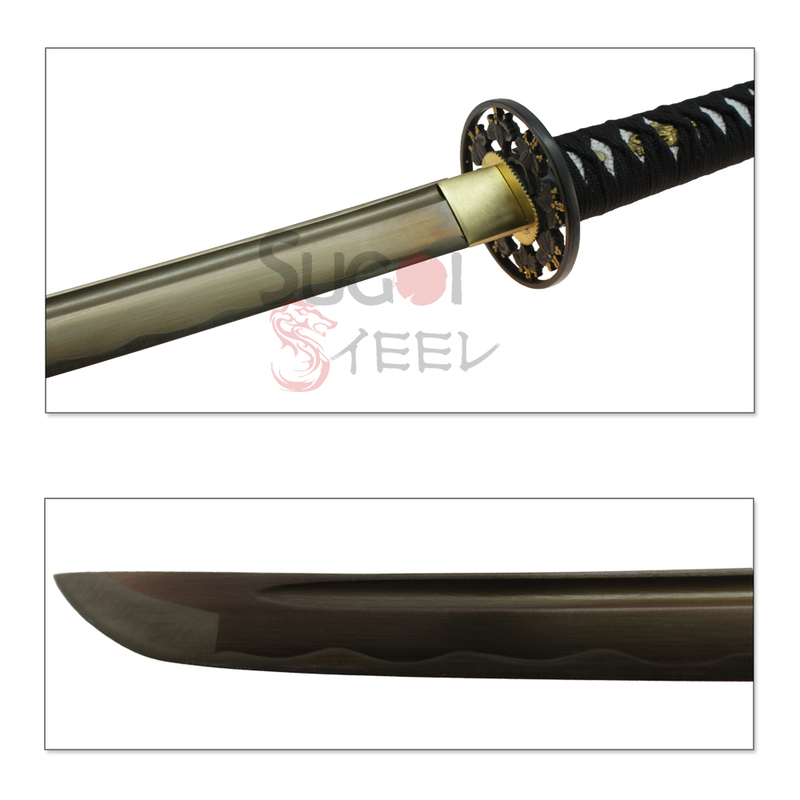 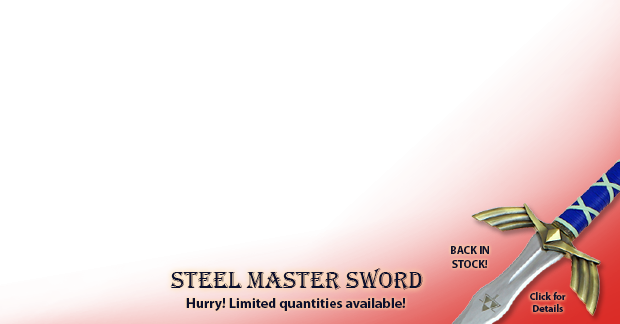 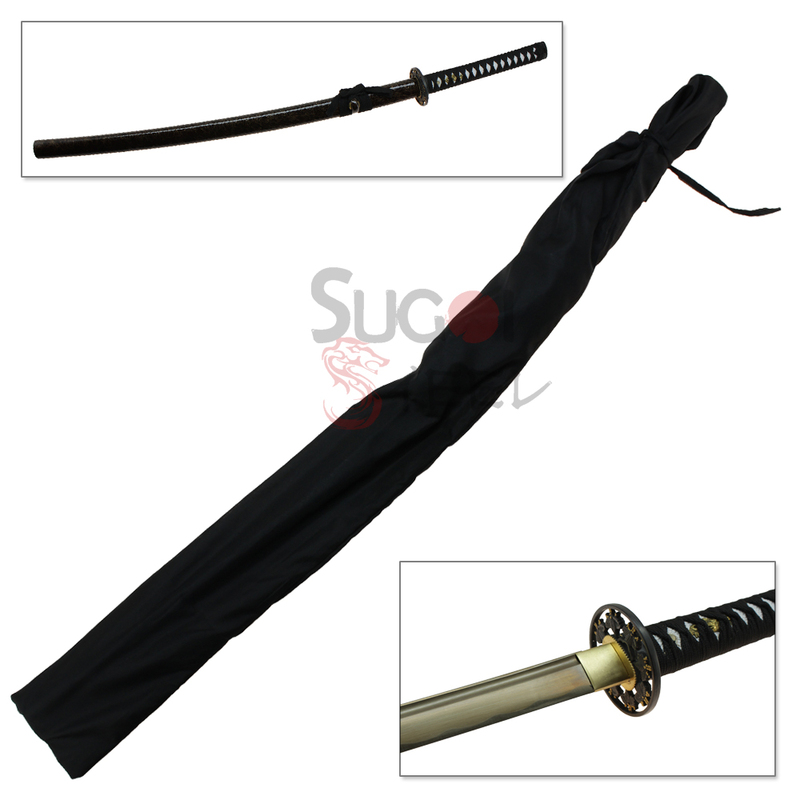 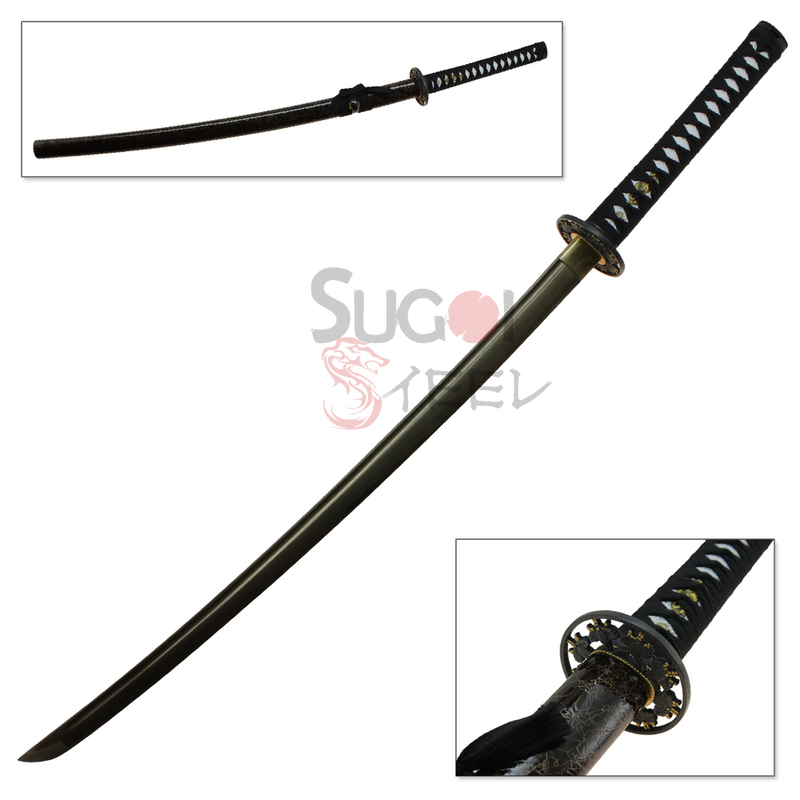 This beautiful golden bladed katana is from the Sugoi Steel™ Arumaito (アルマイト) Series. 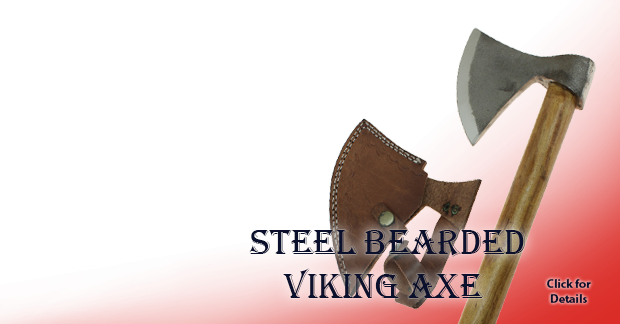 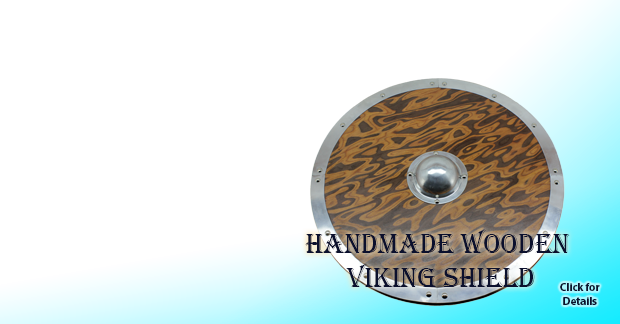 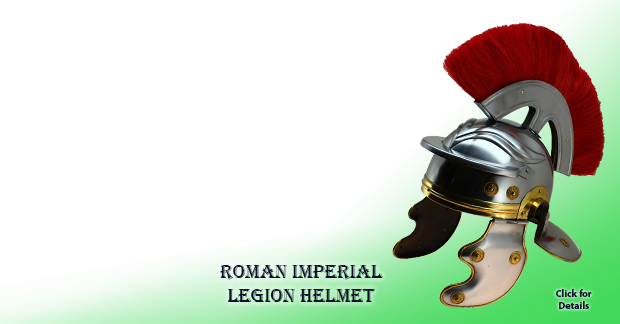 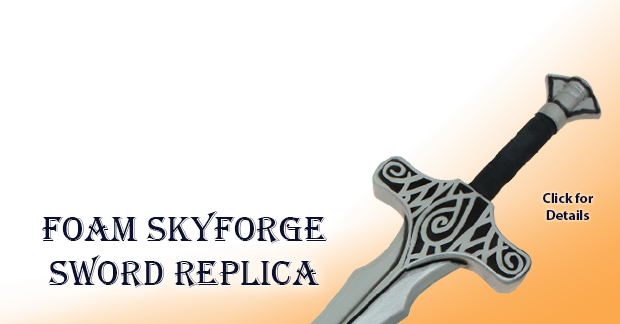 The Blade is heat-tempered 1045 high carbon steel, and it is anodized to give it a stunning golden finish. 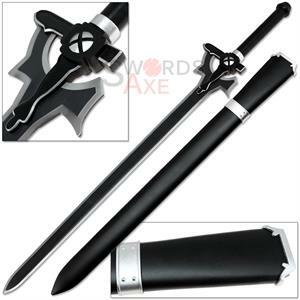 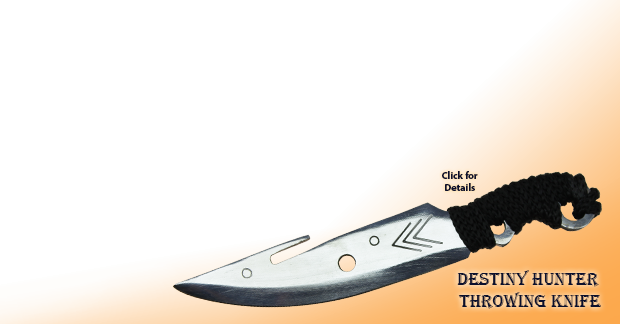 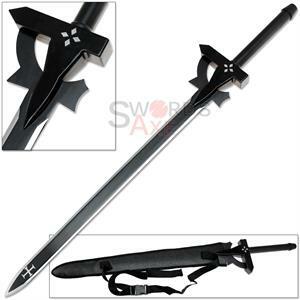 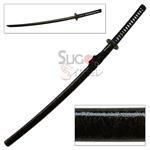 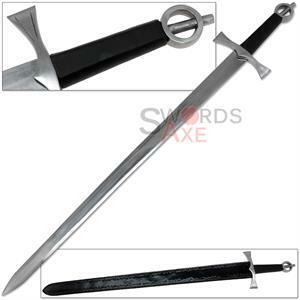 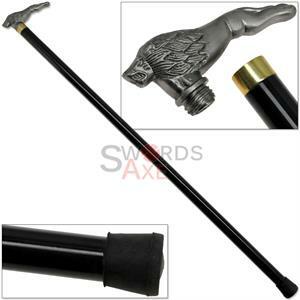 This is a full tang katana, with a razor sharp cutting edge making this a fully functional, battle ready sword. 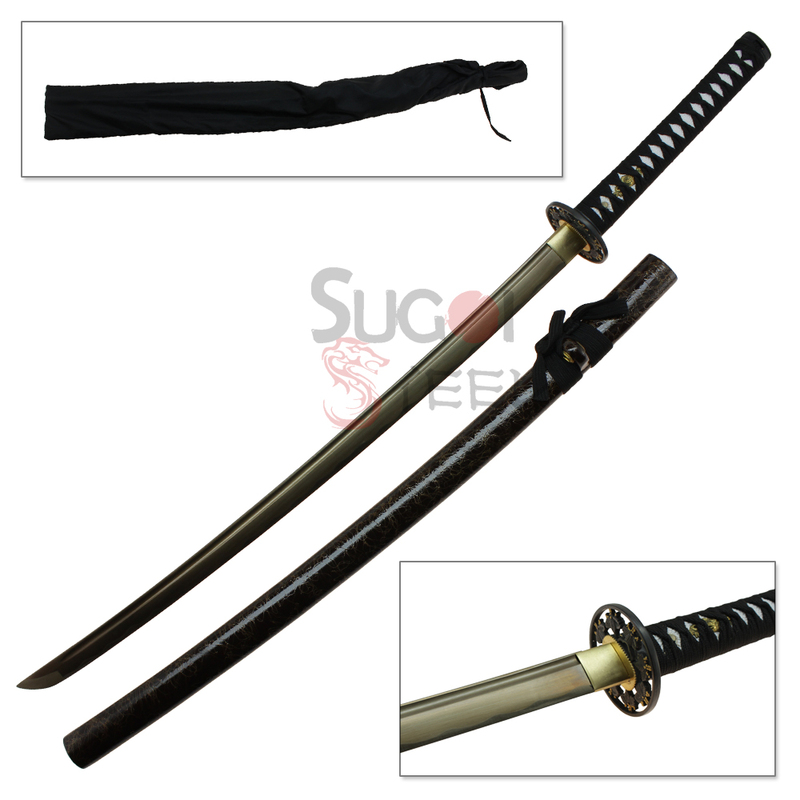 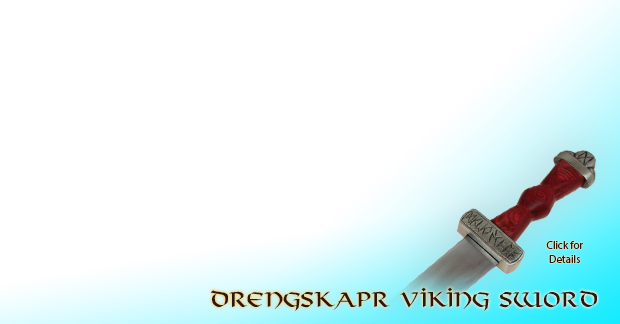 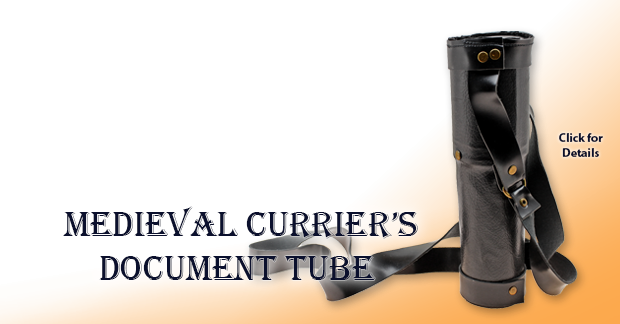 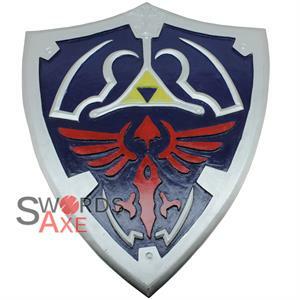 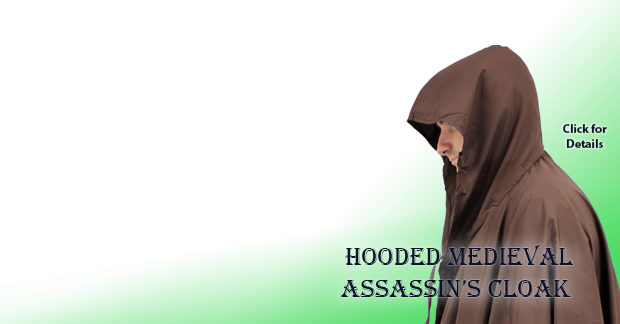 It measures approximately 41.5 inches long in its saya (scabbard), and has a blade length of around 28.5 inches including habaki. 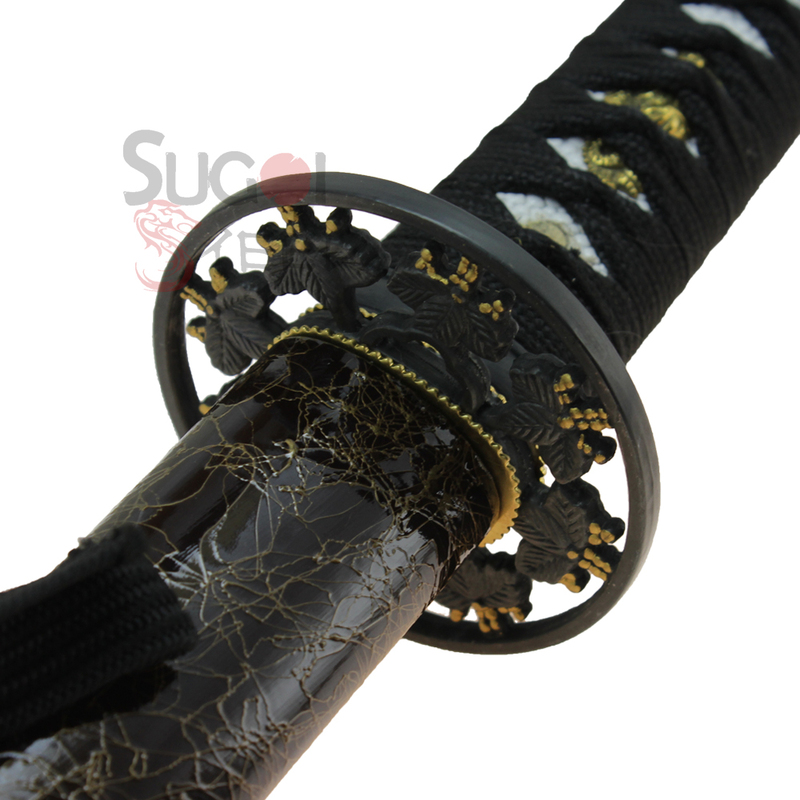 The hardwood tsuka (handle) is approximately 11.25 inches long and is finished with white faux-rayskin and black nylon tsuka ito (cord wrap). The saya (scabbard) is made of hard wood, and is finished in glossy burgundy and gold textured lacquer.